Orthodontic Specialist P.C., is proud to offer the Propel Excellerator® Series, the first and only product line cleared by the FDA for use in Micro-Osteoperforation (MOPs). Contact us today to learn how MOPs can improve your orthodontic treatment. Whether you’re getting ready to start your orthodontic journey or are already in active treatment, MOPs may be the right solution for you. The Excellerator Series can be used in conjunction with brackets and wires or clear aligners. We can complete your MOPs application in a matter of minutes during a regularly scheduled appointment and have you back to your busy schedule in no time. The VPro+™, from Propel Orthodontics’ VPro Series, is the first and only product that supports you during active orthodontic treatment all the way through retention. The VPro+ operates at a high frequency, delivering gentle vibrations to improve your orthodontic treatment. And get this, you only have to use it for 5 minutes a day. 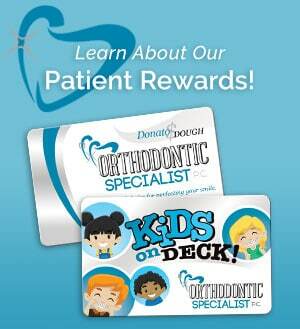 Enhance your orthodontic experience on all levels. Enjoy the user-friendly patient application, optimized to keep your treatment on track. All of the features you need, and none that you don’t! 1. Be sure to charge your VPro+ fully before first use. 3. Secure the Mouthpiece to the Oscillator (arrow points toward button). 4. Begin your first 5 minute Session. Wear your orthodontics during use unless otherwise directed. Ask us about the VPro+ at your next visit at Orthodontic Specialist P.C. You may be a candidate for this revolutionary treatment appliance!